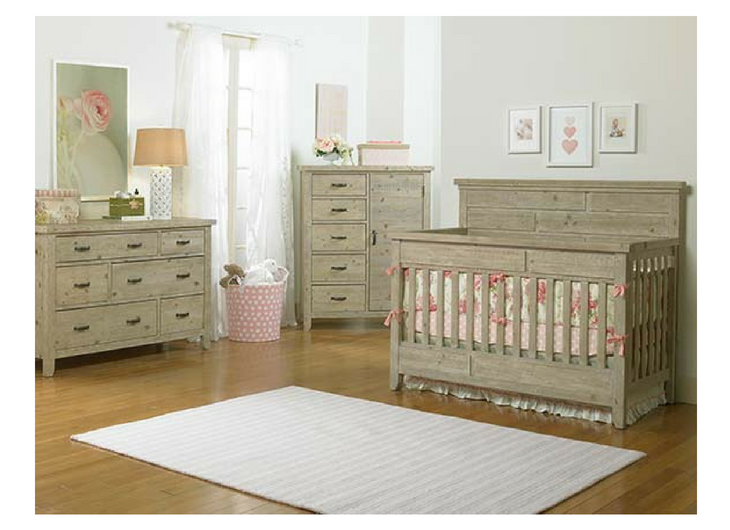 The Grado Collection brings the uniquely Americana Style of Farmhouse furniture into the nursery. Each piece in the collection is thoughtfully designed to feel like it has its’ own story to tell. 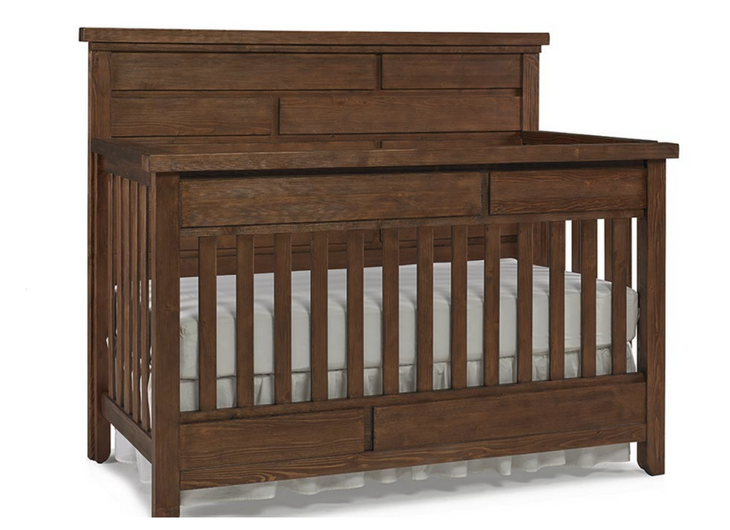 The full panel crib features a planked, shiplap look. Authentic hammered look hardware complete the case piece look along with the natural grain of the wood. Our unique hand-finishing process gives a comforting appearance of a history laden collection.